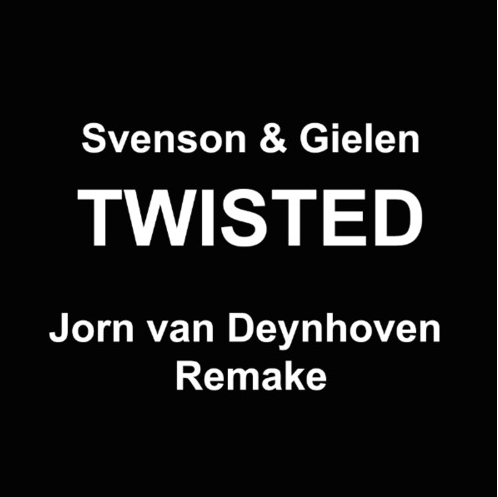 Twisted by Svenson & Gielen was one of THE Trance anthems of the 2001. Yes, people were listening to Trance in 2001. Jorn van Deynhoven pushed out this tremendous remake that made its way onto ASOT 688 last week. The track is a piece of trance history, given a significant boost on the low end for the new era. If you want to know what big room sounded like before Martin Garrix was in kindergarten, this is it. There’s a good 4 minutes reminding everyone what the classic trance vibe felt like, but with the Armin-developed huge bass sound that anthem/festival trance heads have come to expect. If you don’t know who Jorn Van Deynhoven is, get this musc into your face. It’s some of the best trance out there, and his career is exploding. Get with this before you can’t afford tickets to his shows. If you’re a regular ASOT listener, you know that it’s the best place to find new tracks first, especially in trance & progressive. ASOT 678 was no exception. This remix of Imagine is one of the most euphoric tracks I’ve heard in years. This is the kind of stuff that festival kids eat up, but it’s still got enough legit trance elements that even the old people will sit up and pay attention. Listen to it before it gets taken down it just might. Interestingly, there is a track off of Imagine by the name of “Imagine” as well, which has a crazy good progressive build, clocking in at almost 10min. This is what trance was meant to be, and because I’m such a nice guy, it’s linked below. That’s right, a trance twofer! Enjoy the long weekend! Show the DJ & label some love on Fbook! While some of us had the good sense to not miss their debut performance at A State of Trance 600 (reported on here), the rest of the dance music world got their first taste of the New World Punx, the new mega-collab between Ferry Corsten & Markus Schulz, at either Roseland in NYC or Palladium in LA. The act is harder, more in your face and definitely way less ethereal and smooth than an act like Above & Beyond or something of the like. However, this is by design, as the two mega stars relayed to Billboard last week. Romper is an intense, stompy track that infuses a serious amount of “you’re two steps from hardstyle” energy into the dance floor. They are acutely aware of the stagnation of mainstage dance music these days, and as Billboard reports, they’re down to drop the drop as it were. Keep the energy up throughout the set, and not wait for the same build/drop/blowout formula that caught trance, electro, house and is slowly entangling trap within its unimaginative tentacles. A State of Trance 600 NYC was a triumph. While I can’t wait to share my expanded thoughts about the event, the music, the crowd and the entire evening, I wanted to make sure that this specific set was noted. I’ve been a fan of Ferry Corsten for years, while Markus Schulz has started exploding in my awareness only a year or two ago. The collaboration history of Ferry is impressive and the New World Punx lineup was amazing. The tracks were hard, fast and insanely well mixed. The closest ID’ing of the tracks is below, and any track that you see as a New World Punx remix/mashup or bootleg mix, just go ahead and assume it’s fantastic. Of course, track 20 “The Digital Punks of Gotham” is my favorite unreleased track of the set. How could you tell?